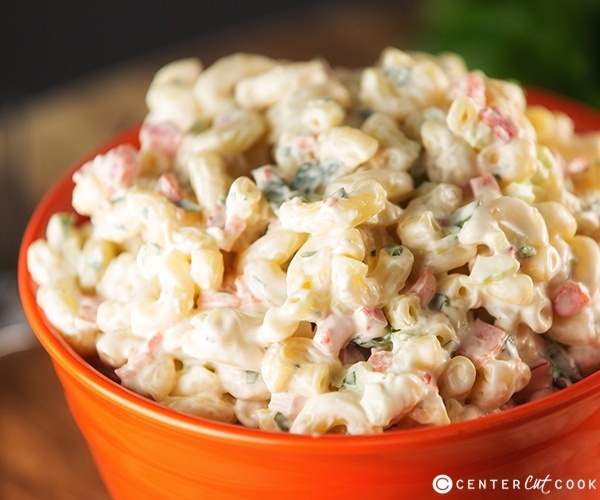 Easy Macaroni Salad, just like you’d get from the deli at the grocery store! This basic version of Classic Macaroni Salad can be modified to be made with tuna, peas, or whatever add-ins you’s like! 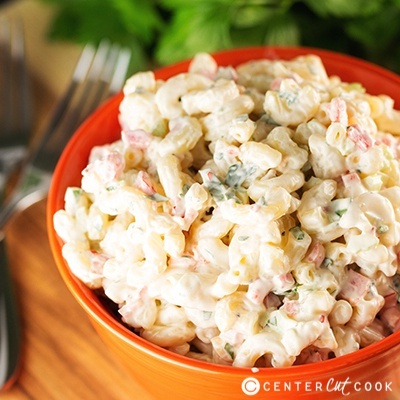 Macaroni Salad is such a classic side dish for BBQs and potlucks! I remember my mom buying little containers of macaroni salad from the deli at the grocery store when I was a kid, and we’d eat it alongside burgers, hot dogs, you name it. Classic Macaroni Salad is super easy to make at home, and tastes just like what you might expect from buying macaroni salad at the grocery store. With just a few simple ingredients, you can make this classic summer side for your next BBQ. Don’t forget to check out our other pasta salads if you are looking for something a bit different! The beauty of this recipe is that it’s super simple and basic, but it can be modified to suit your tastes. Want to throw in some peas? Go for it? Think tuna sounds good? Toss it in! There are so many ways to change up this recipe, yet it’s still super delicious in its most basic form. I actually prefer to eat it as it’s written, just because it reminds me of the macaroni salad I ate growing up from the deli, but go ahead and change up this recipe however you’d like. I’ve even heard of adding shrimp or eggs! 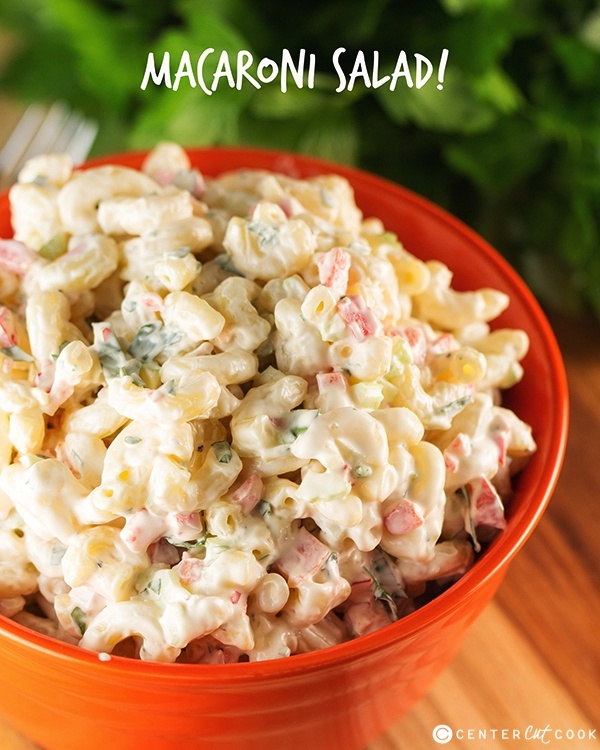 As I mentioned, this Macaroni Salad is really easy to make. It’ll require only about 15 minutes of your time but will need to chill in the fridge for about an hour for the best result. You can eat it as is, but it definitely tastes a little better after it’s had time to hang out in the fridge. If when you go to eat it, it seams a little dry, stir in a little milk, about 1 tablespoon at a time until you get your desired consistency. Easy Macaroni Salad is perfect for summer or any night of the week! I like to serve it alongside these Everyday French Dip Sandwiches. Enjoy! Cook elbow macaroni according to package directions, then drain and rinse under cold water until the pasta has cooled. Drain well. In a large bowl combine mayo, sour cream, cider vinegar, yellow mustard, sugar, salt, and black pepper. Combine the macaroni with the dressing, then stir in finely chopped celery, diced red bell pepper and finely chopped parsley. Chill for 1 hour before serving. Enjoy!